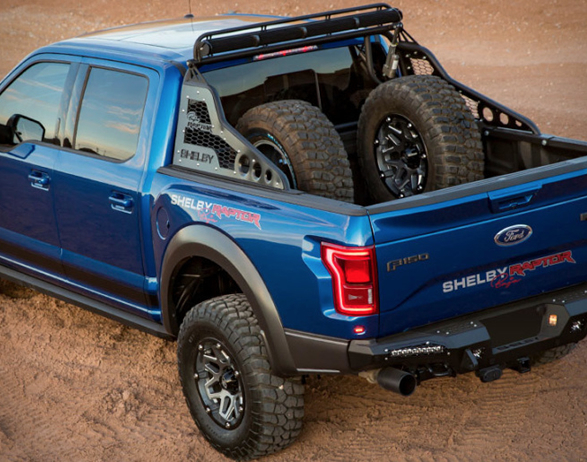 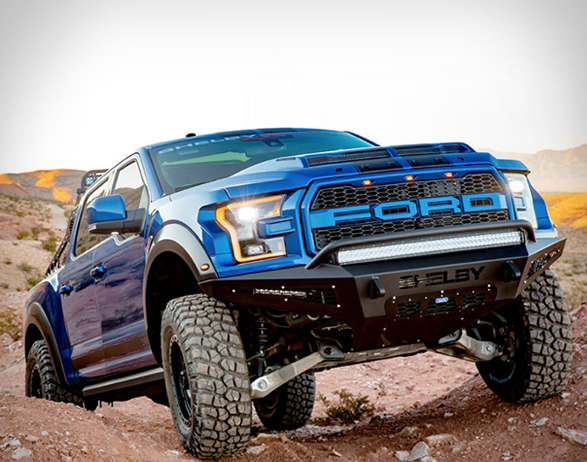 The Ford F-150 Raptor is already one of the most capable off-road trucks around, but now Shelby have rolled out a brand new iteration of Ford’s most vicious truck, the beastly Baja Raptor. 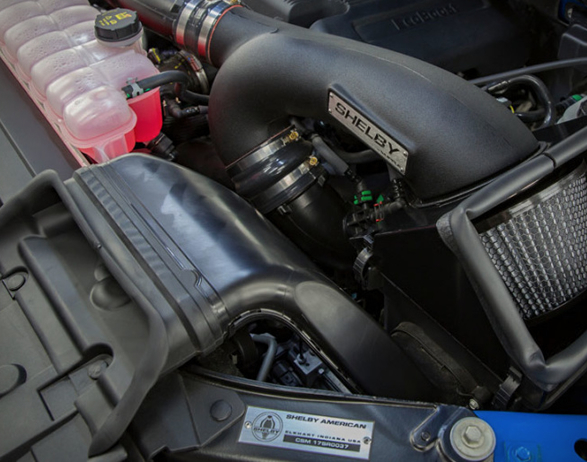 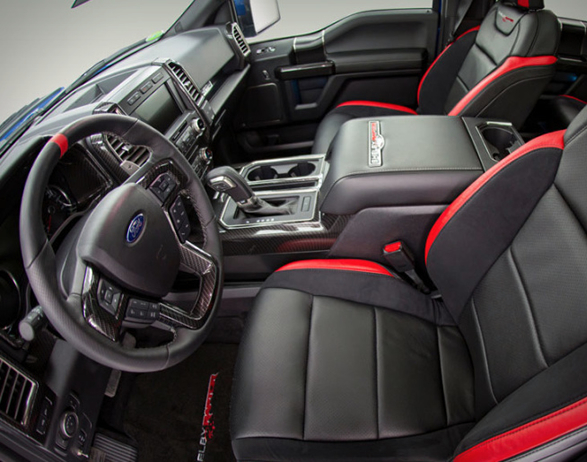 The high-performance truck features a powerful twin-turbo EcoBoost 3.5-liter V6 engine capable of delivering more than 525-hp and 610+ lb-ft of torque. 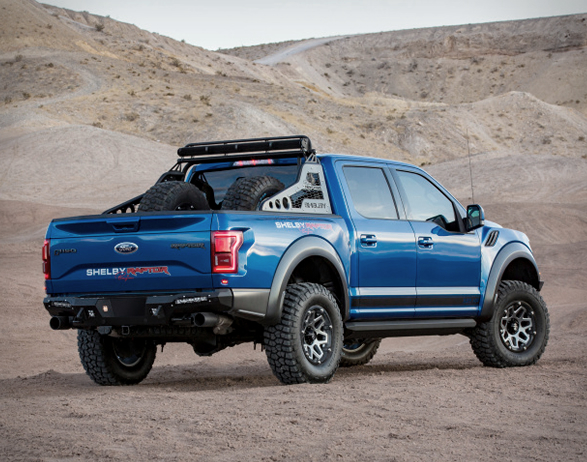 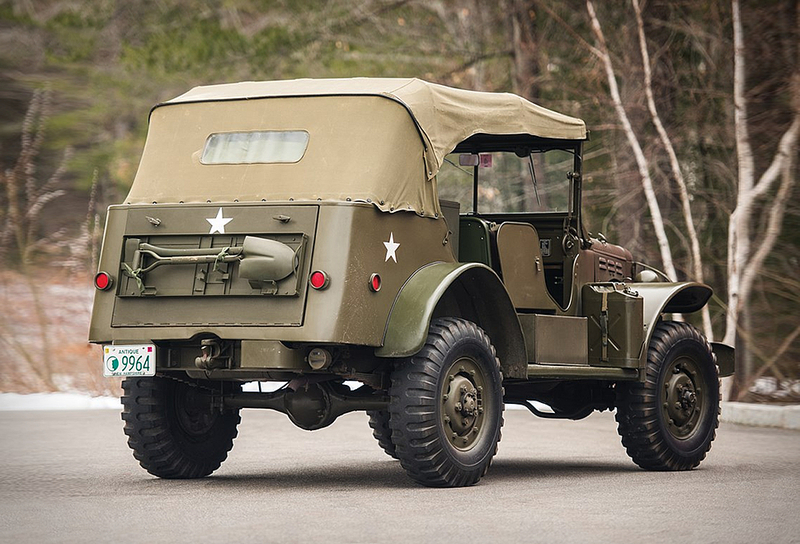 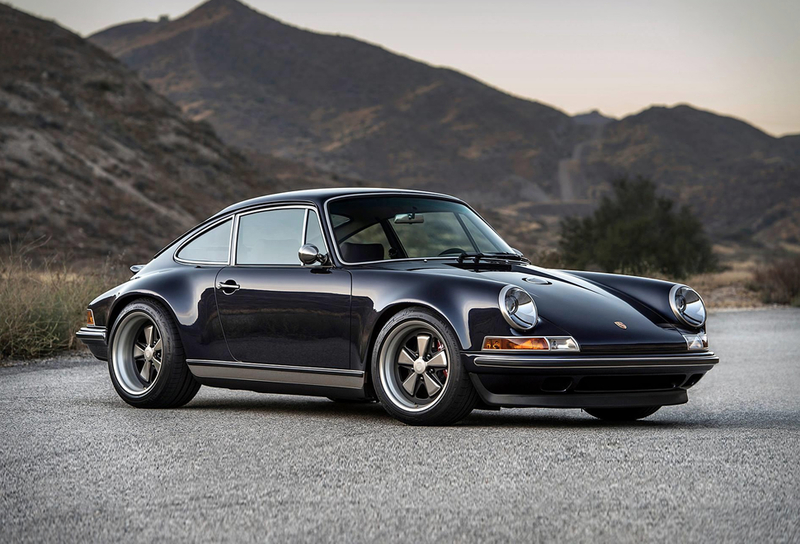 An array of upgrades include a customized cold air flow intake, a set of Fox shocks, custom front and rear bumpers, a steel rack in the bed with mounts for two spare tires, custom skid plates, a dual intake hood, automatic runners, a set of aggressive 35-inch BFGoodrich KM2 tires, and a whole lot of LED lighting. 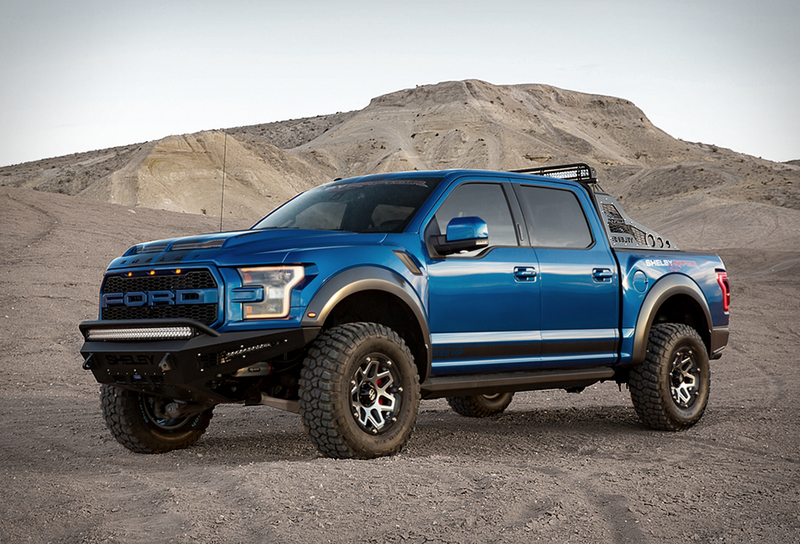 Trucks are available new, or if you own a Ford F-150 Raptor already, you can take it in to be converted.